Sunset Trading’s attractive Vail counter height dining set creates the casual, inviting ambiance of a tavern setting with the comfort and space for full scale dining. 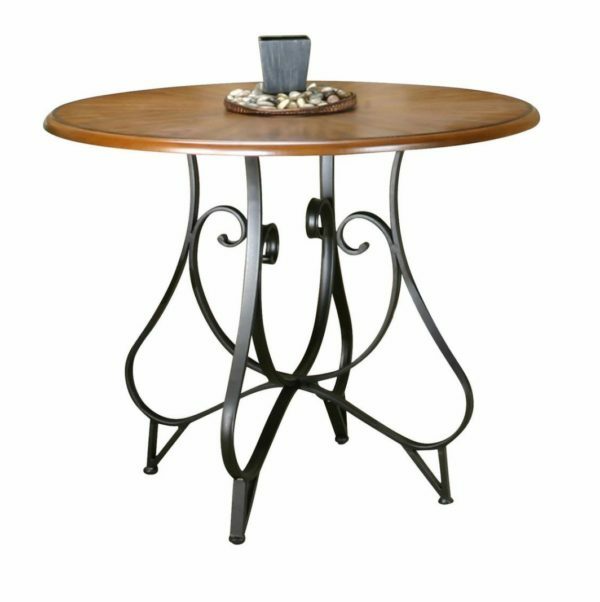 This gathering height table features a steel tubular scrolled design parred with four perfectly matched stools. The Vail stools are upholstered in a neutral beige microfiber, and feature an elegant scrolled back accented by a faux marble filled circle with diamond motif. *Dine and entertain like royalty without breaking the bank with this elegant pub set! *Stool weight (4): 16 lbs. Sunset Trading warranties their products for two years against manufacture defects. Please see complete warranty disclosure at www.sunsettrading.com or email warranty@sunsettrading.com.